« Pay people to move from dialup to broadband? This entry was posted on Saturday, April 29th, 2006 at 9:19 pm	and is filed under blogs, irishblogs. You can follow any responses to this entry through the RSS 2.0 feed. Both comments and pings are currently closed. Surely anybody not in an area covered by BB should leave Eircom in protest and go to the cheapest carrier for calls in Ireland – Euphony, as verified by Eddie Hobbs in his monthly magazine ‘You & Your Money’. Anyone interested should click on http://www.opportunityireland.com. Any news about broadband in Mount Nugent? 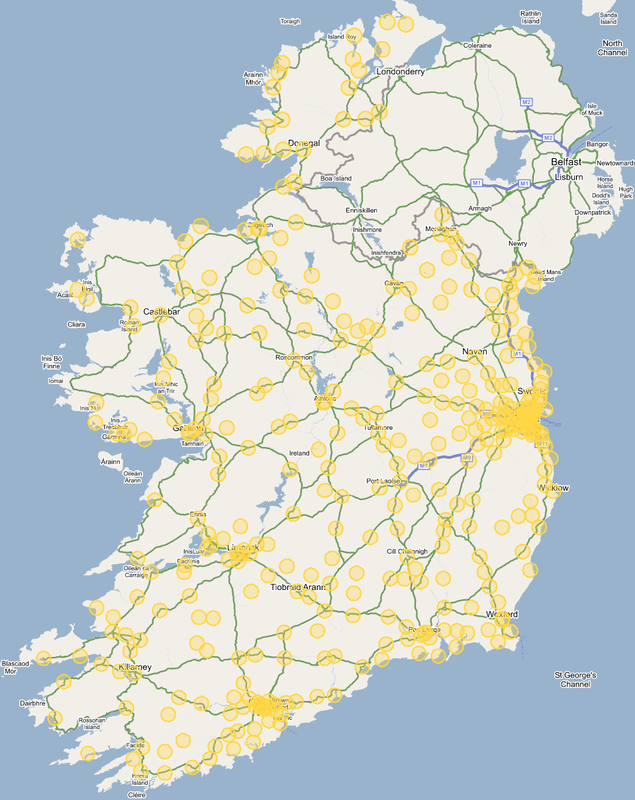 Any News about broadband in bridgetown co.clare??? I am trying to see what is the cheapest and best way to get broadband in roscahill. My phoneline is no good as it is a shared line and I live in Porridgetown just below where Eircom won’t come down. Is 1GB reception speed any good? I live in Cloonmore, Roscahill and I signed up for Airwire Broadband. I am totally disappointed with the service, it can be as bad as dial-up at peak times. I get good speeds using 02 service with dongle!